There are some men in comics who just can’t seem to show their faces in public. Even if they did, you wouldn’t want them around because their minds are just as scarred as their faces. Who are these men? DC Comics has Two-Face, Marvel Comics has Jigsaw, sCrypt Comics has Marcus (artwork by Dan Pipito), and Midway has Kabal. Below will be a brief summary of each character, and then a poll. Vote for who you think would win in a battle or add a character that you feel I should have included. Have fun and enjoy! 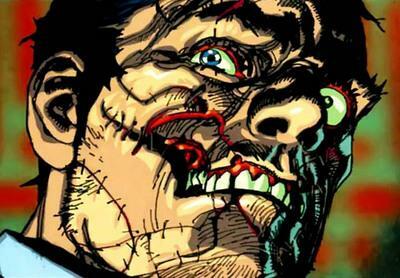 District Attorney Harvey Dent was a man who worked to keep the justice system truly just. That was until he had half of his face scarred for life. There are variations on his origin throughout the years, but the most common one would be that he had half of his face blown off in an explosion. Always a man who struggled with his inner demons, this tragic event forced his split personality to take over. 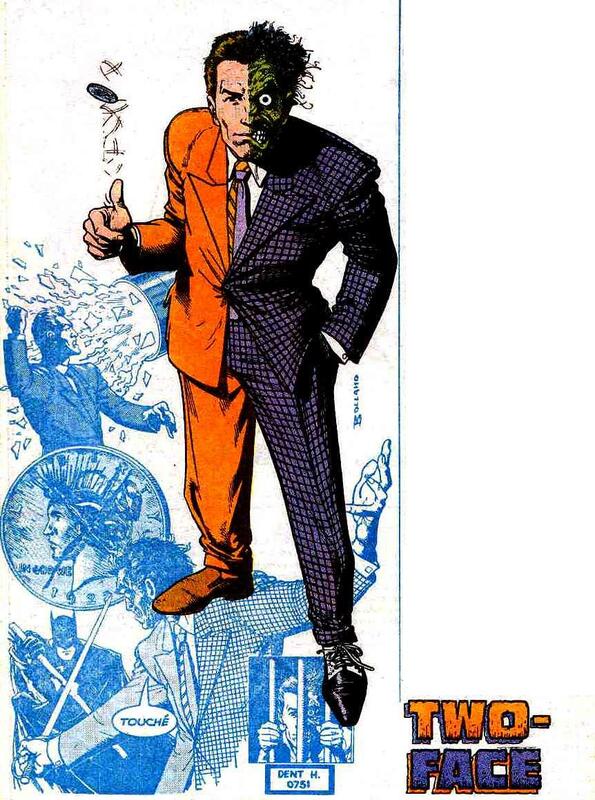 Two-Face uses a coin to decide which half (Harvey Dent or Two-Face) would act in the decision. If he was flipping for you, you wouldn’t want to see tails, or you’d most likely be dead. He first appeared in Detective Comics #66 in 1942. Billy Russo was a professional hitman and criminal for the Maggia crime family. As one of the very few people to survive being on the Punisher’s hitlist, Billy was thrown through a pane of glass head first. After barely surviving, he had a surgeon stitch his face back together like that of a jigsaw puzzle. 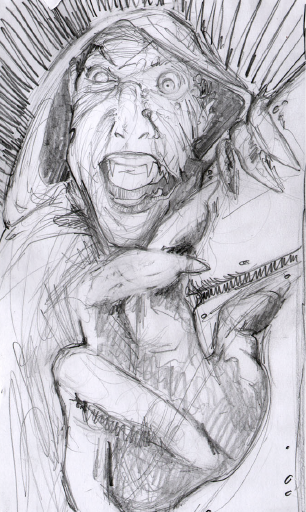 As Jigsaw he is one of the most violent mob criminals ever to grace the pages of a comic. He first appeared in The Amazing Spiderman #162 in 1976. As a former member of the criminal organization known as the Black Dragons, he tried to turn his life around and serve for the greater good. 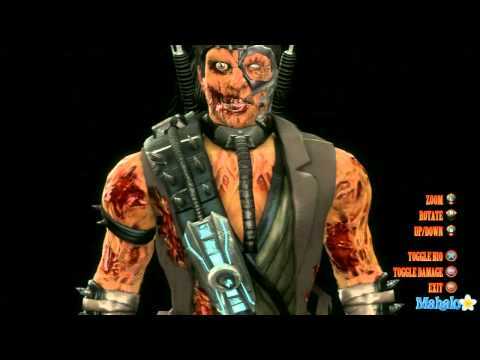 When the evil emperor Shao Kahn invaded earth, Kabal barely survived. Now he needs a respirator to breathe, and hide his horribly scarred face. Originally, he reverted to his Black Dragon roots after the attack, but who knows what the future will bring. Just don’t cross his path if he is armed with his hook swords; he won’t hesitate to gut you from face to feet. He was first introduced in Mortal Kombat 3. So there you have it. Four men who you don’t want to have as your enemy or your friend. Cast your vote below, and spread the word.